Rune - Fortune Telling :: sidetaker. 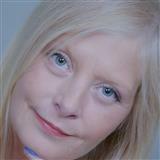 Fifth Generation Psychic Advisor with more than 27 years of service. Accurate, Detailed, Honest and Professional guidance. Various tools used includes; Tarot Cards, Runes, Astrology and Palm Readings. Blessed with an unremarkable gift of Fortune-Telling, as well as other psychic abilities. I have provided guidance to thousands of clients during the course of 27 years. I felt this reader truly read the person of interest so very well! I would definitely come back.